Where can I buy Jaima & Co wallpaper and murals? Hi! My name is Lynn Turner, owner of Salt Sea Design and Interiors in Mount Pleasant/Charleston SC. Would you please let me know where I could buy your wallpaper. I’m interested in the mural Charleston Garden. Do you have a rep in Charleston? Thank you!! I hope this helped. I think I already emailed you back a while ago but wanted to be sure as I am just updating my website and saw these comments. 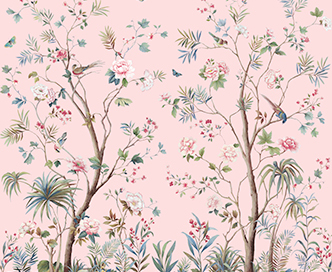 Thank you again for your interest in Jaima Brown Home and in Daisy Bennett Designs,my new brand! 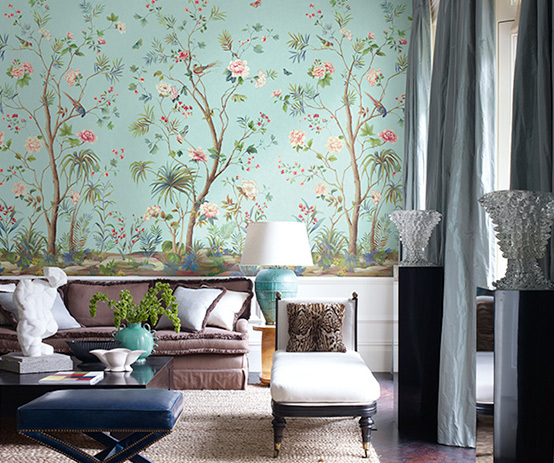 Charleston Garden Mural in Aqua. Could you give me a price on the 6 panels. Ate they pre pasted? 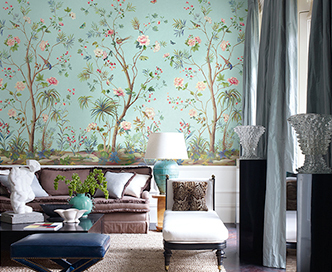 Is the mural done in watercolour or more like wallpaper. It is 12’x 12′? Where can i purchase this wallpaper? 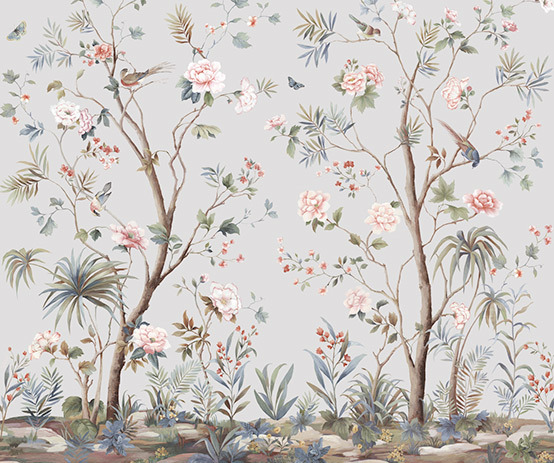 You can buy the Charleston Garden Mural in any decorator shop who sells Jaima Brown Home Wallpapers or call customer service at Wallquest as they distribute my wallpaper in America. They need to know where you are located and then can help you find a store or designer who sells it. Wallquest phone number is 610-293-1330 and ask for customer service. Please let me know how I can but this one and the cost plus shipping to the US. Hi, where can I buy the Charleston garden mural in the U.K.?